If your original book only exists on paper then don’t worry. We offer a full SCAN and OCR service. That means that we’re able to take your paper edition, optically scan it as a series of electronic images then use specialist software to recognise the text and convert it into an electronic document. We can do this for either loose leaves of paper up to A3 size or from final printed and bound book. When there’s a printed and bound book to be scanned, we have our own specially built scanning rig that allows us to image the pages of your book without damaging it. If your book was to be inserted into a flat scanner then it would need to be pressed down hard, and that would cause damage to the spine and even be impossible to do if the text is printed close to the centre (or gutter) of the book. But our hardware makes all that easy. 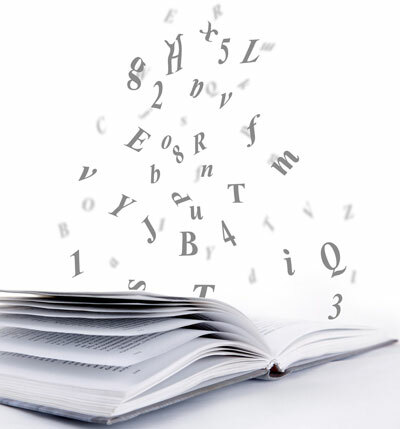 Once the book is scanned, our state of the art Optical Character Recognition (OCR) software will intelligently turn the images into the text files that we can use to make your eBook or to re-typeset into more printed copies. If you’d like the chance to edit or revise your book before conversion, then we can send you the document and pick up where we left off when you’re happy with the text. Nothing is impossible, and we have worked with hand-written manuscripts before but they DO need to be typed in by a human being. Let us know if that’s what you have and we can give you a quote.